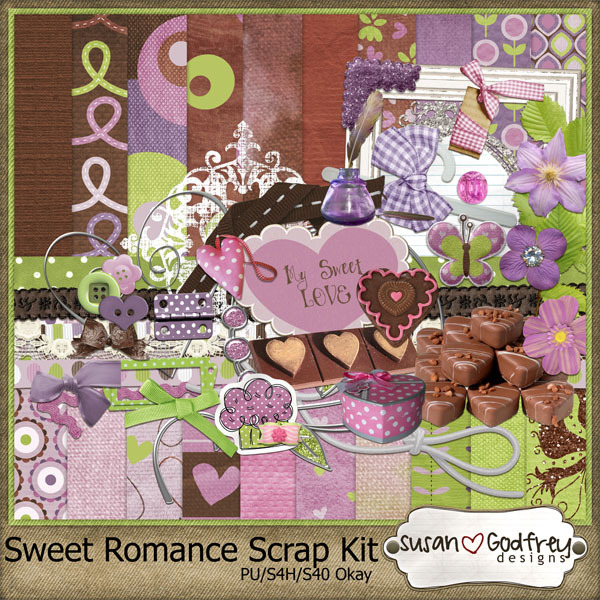 Susan Godfrey has just put out a super great kit called Sweet Romance! Its full of Valentine's day treats and beautiful papers! 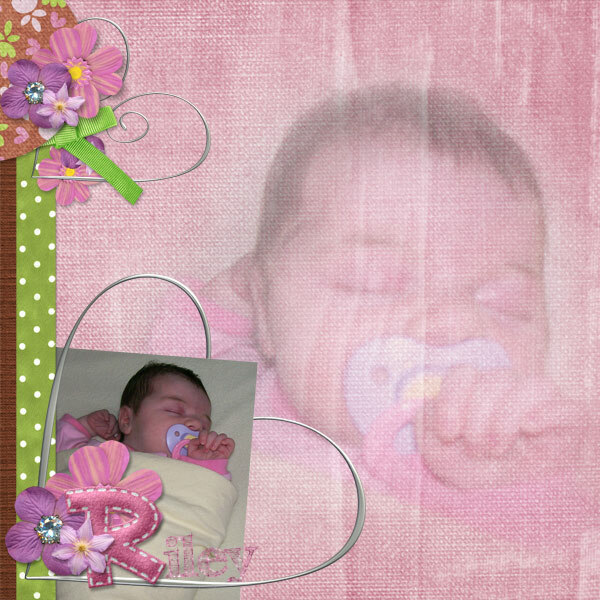 I'm working on getting Riley's book ready for her upcoming birthday (April 19th) So you'll be seeing alot of her! Posted by Nicole at 6:20 p.m.